Fresh flavor is just a snip away if you keep a bouquet of tender green herbs in the kitchen. 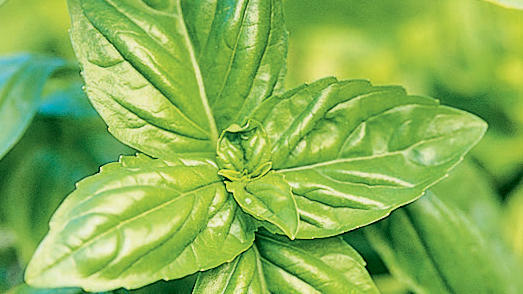 Basil, especially, thrives in a container of water on the kitchen counter, and the stems may even develop roots in several weeks. But other delicate green-stemmed herbs—such as cilantro, parsley, and watercress—need more coddling. For their well-being, you need to control air, light, and temperature, says George K. York, extension food technologist at the University of California at Davis. Oxygen in the air reacts with cut plants and creates brown or black spots on leaves. Spots first appear where the leaves are bruised. 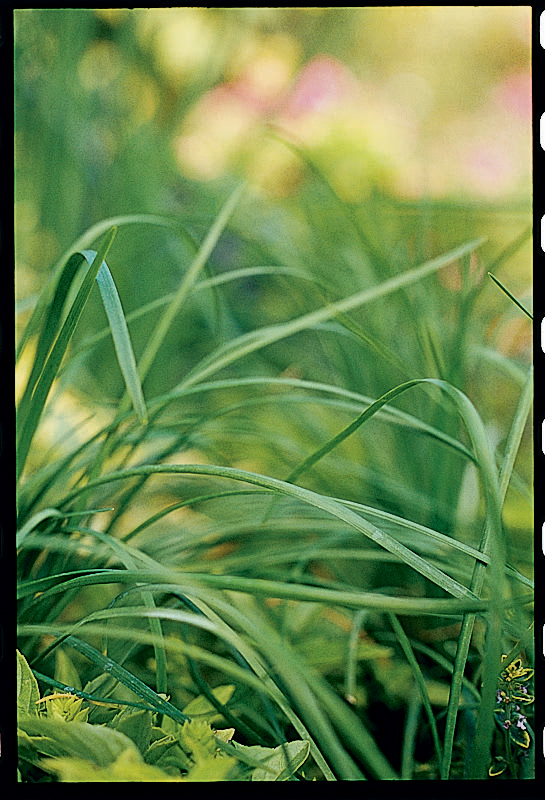 Light breaks down the chlorophyll in herbs and makes yellow spots that often turn white. Chervil is quite susceptible to this damage because its leaves are so thin. Temperature that’s warm enough to keep us comfortable will release the volatile oils in tender herb leaves. The room gets the fragrance that the herbs lose—unless they begin to grow, as basil does. All tender herbs except basil keep their flavor best in the refrigerator (basil leaves are susceptible to cold and turn black). How herbs are grown also affects how long they last. Commercially produced herbs and garden herbs may have different flavor and durability. Wendy Krupnick, former garden manager for Shepherd’s Garden Seeds, explains that many commercially produced herbs are given high-nitrogen fertilizer to yield a quick crop. These herbs often contain more water, making them more perishable, and are less flavorful because they have fewer essential oils. How well commercially grown cut herbs will keep also depends on when they were cut and how they have been handled since then. Wilted leaves often perk up if you cut off the damaged part of the stem and put it in water. Although rinsed herbs (except basil), wrapped in towels and enclosed in a plastic bag, keep well enough for a day or two, their life is greatly extended when you store as follows. 1. Untie herbs and immerse in cool water, shaking gently to dislodge any soil or insects. Discard decayed stalks and leaves. Snip off stems just above a break or a bruise. Gently shake excess water from leaves (don’t use a lettuce spinner; it bruises leaves). 2. Place stems in a container of water (a vase or canning jar) that holds them snugly, leaves above the rim. 3. Cover leaves loosely with a plastic bag, such as a produce bag. 4. Refrigerate, changing water when it looks murky. Snip off any parts of stems that show signs of decay. If you’re storing several jars, group them on a close-fitting rimmed tray to protect them from being knocked over. Prepare herbs as described above, then use this chart as a storage guide. Their quality when stored affects how well they keep.